Made from the splintered ribs of cows or horses, one is still capable of making music. 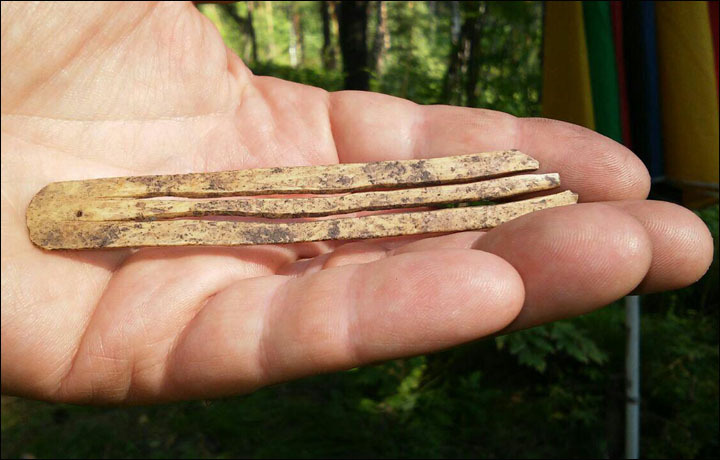 The musical finds were made by archeologists at two sites Chultukov Log 9 and Cheremshanka in Altai Republic. Three of the Jew’s harps - also called jaw or mouth harps - from the first site were half-finished. The other two from Cheremshanka were complete, and one is good enough to make music some 1,580-to-1,740 years after being manufactured by craftsmen in the Huns-Sarmatian period.